Wherever you drive your BMW, it’s usually the most impressive vehicle in the area. This high-end import has been one of America’s most popular imports for decades. The reason that drivers are drawn to the BMW is because of the precision manufacturing and advanced engineering. You should only trust your precious BMW’s services to a repair shop that’s qualified. General repair shops will try their best, but ultimately they’re playing a guessing game with your prized possession. We have the team and the equipment that puts on par with, if not higher than, the dealerships. 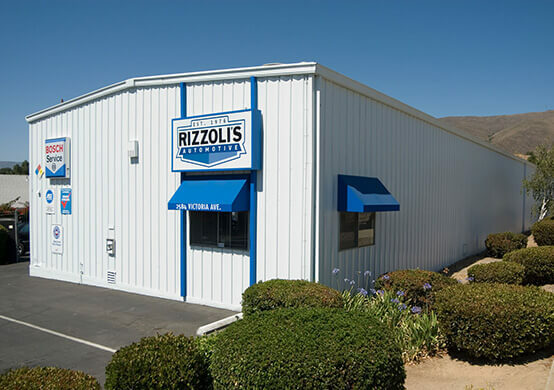 Rizzoli’s Automotive in Santa Maria, CA has a team of BMW repair experts that provide services for all systems–engine, mechanical, electrical. The key to your BMW’s peak performance is an effective service plan from Rizzoli’s Automotive. We provide the most appropriate preventative maintenance services according to the right service intervals. The BMW’s engine is its most outstanding component. We know how to take care of it with clean and consistent oil changes, timely tune-ups, fluid services, filter changes, tire services, diagnostic services, maintenance inspections, and more. Let our team enhance your BMW’s performance to keep you on the road and in the fast lane! Honestly, we know your BMW better than you do! We’re a team of BMW enthusiasts, just like you! Our dedicated technicians take pride in putting you back on the road. BMW drivers throughout the Santa Maria area have learned to trust Rizzoli’s BMW repair and maintenance services. We got you covered, from bumper-to-bumper–engine repairs, cooling system repairs, A/C repairs, transmission services, brake repairs, suspension and steering repair, exhaust system repairs, and much more. Pay attention to your BMW’s warning signs and let us have a look as soon as possible! Finding out the truth about your BMW’s condition is the most important part of the BMW repair process. We use state-of-the-art tools and technology to provide an accurate diagnosis for your BMW. Avoid costly BMW services and unexpected breakdowns by trusting your vehicle to the experts. The reason you don’t see BMWs on the side of the road is not only because of its expert manufacturing, but also because of the qualified BMW service techs. Today’s the day to put your BMW on a path to peak performance. We know exactly how your BMW is supposed to sound and perform. We consider your BMW’s age, your driving habits, and the manufacturer’s recommendations. Our BMW maintenance services will keep you two laps ahead of any costly repair need or unexpected breakdown. Even with a consistent service plan, normal road travel can still lead to a repair need. 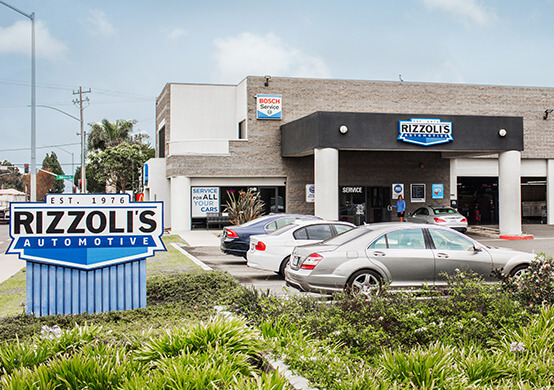 Rizzoli’s Automotive is the repair shop to visit for quick, complete, and accurate BMW repairs. Give us a call today at 805-922-7742 to schedule your next BMW repair appointment. You can save time by scheduling right now using our convenient online scheduling system. Next time you’re in the area–1149 W. Tama Lane–feel free to stop by with any questions or concerns about your BMW service needs.